Simple yet functional, the Vancouver Bookshelf is a perfect piece for your home or office. 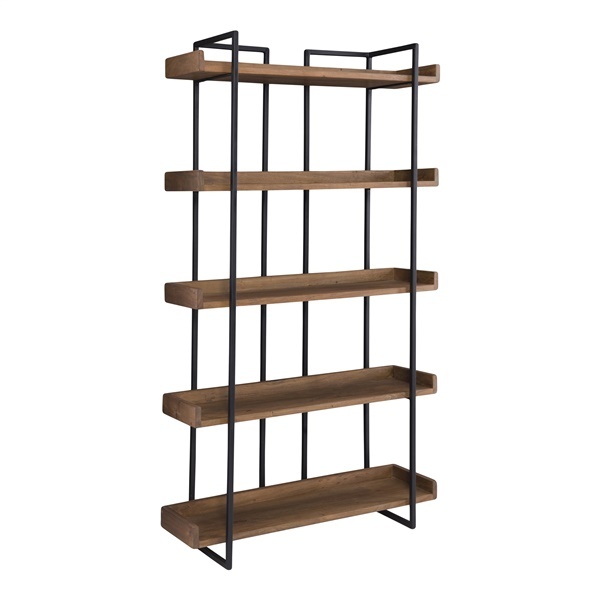 It's durably crafted with a solid iron frame to provide long-lasting strength, and features five, solid acacia wood shelves to provide sufficient space to display your books, favorite photos and cherished accent pieces. The Vancouver is offered in your choice of size to accommodate your living space, and is finished with a dark frame and light brown shelves that can be seamlessly incorporated into any decor. It looks great on its own or can be displayed with other available items from the Vancouver collection.